1:1 with Bill Bean / KCI What’s Next. For the past 23 years, Bill Bean has served as the CEO of the QEII Health Sciences Centre Foundation in Halifax, NS. Bill has devoted his career to the non-profit sector and has 40 years of experience in fundraising and non-profit management. 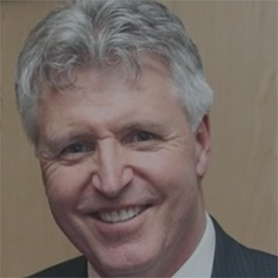 Prior to his role with QEII Foundation, he served as Executive Director of BC Special Olympics, Director of Development for Simon Fraser University, and Vice-President, Development & Communications for BC’s Children’s Hospital. The QEII is the largest adult health sciences centre in Atlantic Canada and is the specialized care centre for heart health, cancer care, neurosurgery, and organ transplantation. In addition to providing the most advanced care available, the QEII is the leading research centre and training facility in the region. The QEII Foundation has undertaken a $100 million campaign, the largest campaign for health care ever launched in Atlantic Canada. Nicole: What is the key to fundraising success today? Bill: I was hoping you’d tell me! Effective Volunteer Leadership: Influential, visionary and aspirational volunteer leadership has never been more important than it is today. I believe the Nominating Committee is the single most important entity in our organizations. Innovation: Traditional fundraising structures may not always suit the times. When that’s the case, think outside the box and shape programs differently. Maintaining a focus on the basics: While it’s crucial to be pushing the envelope and innovating, we can’t lose sight of the fundamentals; most importantly, the business of managing relationships. Investment: Securing large gifts can take years. Make long term investments where you need to. Nicole: How are you helping your board understand that need for investment? Bill: Each of our board meetings has an educational component to give context for our work, and provide clarity about the impact that philanthropy has on healthcare. We reinforce that effective social enterprise must be supported by long term investment. We want senior volunteers to understand that securing large gifts takes time. We worked with Dan Pallotta, author of the book Uncharitable and he reinforced with the Board and staff the critical importance of focusing on outcomes and societal impact as true indicators of success. We also analyze our cost ratios over three years. Of course we track annual results, but we are focusing on the long term. Transformational gifts can take years to secure; the associated costs should be measured the same way. Nicole: What are the trends that you and your team are keeping an eye on? How is that changing how you do things at QEII? Bill: Diversity is critical. It’s important that staff, volunteers, and board members represent the communities that we serve. Our fundraising programs need to reflect that same diversity. I can’t say that we have achieved this in every way as yet, but we’re making every effort to get there. In Nova Scotia, where we have one provincial health authority, changing governance and administrative structures impacts what we do, the parent organization we serve, and how we communicate. Our Foundation has had to adjust in many ways as the health system changes. Health systems amalgamation has meant that our Foundation has been gradually pushed further away from the decision making table. Not in a deliberate manner, but rather as a result of larger and larger corporate structures influenced by government. Our response has been to become much more proactive and assertive in establishing fundraising priorities and plans for the future. Establishing fundraising priorities used to be a collaborative, hand-in-glove, shoulder-to-shoulder approach with the health centre – they took the lead and we worked closely with them. Now, we are often the catalyst for evolving priorities, but still rely on the health authority to ultimately approve projects. We have been using more focus groups as well as one on one dialogue with senior scientists, healthcare staff and clinical leaders to identify opportunities. We then work with the health authority to review prospective priorities. We have become much more proactive than ever before. Granted, it can be challenging to do this effectively, and not be perceived as having “gone rogue” by administration and government. We try to be sensitive in our approach and find the right balance for a sustained positive working relationship. Nicole: Any additional ways you feel fundraising today different than it was 10 years ago? Volunteer structures have changed, especially capital campaigns. Some traditional structures just aren’t as relevant anymore, creating the need for innovative thinking. The strategic role of data and analytics has significantly evolved, it’s much more sophisticated and critical to success. And when it comes to major donors, their reasons for giving have become even more targeted. They’re giving to specific issues where they see an opportunity to make a specific measurable difference. They want to give in a way that helps solve big societal problems. They want to be part of the solution. Institutional priorities do not automatically inspire philanthropy. As fundraisers, our job is to translate how giving impacts lives, addresses top institutional priorities, while meeting the needs of the donor. Nicole: What would you say are the biggest opportunities open to charities / the sector today? And, conversely, what are the biggest challenges? Bill: Individuals who have the capacity to make transformational gifts are much more likely to give to organizations that address societal issues they feel are the most important. This is an opportunity as well as a challenge. Institutional priorities do not automatically inspire philanthropy. As fundraisers, our job is to translate how giving impacts lives, addresses top institutional priorities, while meeting the needs of the donor. Not always easy. Sometimes we need to dig deep to find that alignment, but always in an authentic and defendable way. These alignments are where major opportunities reside. The ongoing challenge that we always seem to face is the focus on cost of operations rather than focusing on impact. Many non-profit organizations are still expected to do more with less. That’s not going to change the world. That just keeps the lights on. Nicole: Fewer Canadians are making tax receipted gifts. Does that concern you? Surprise you? What does this mean for how we raise money? Bill: Concerned yes, surprised no. I think it means we need to have a longer term view, engage people more effectively, and have more in-depth conversations with individuals about our vision for a better world. We need to start engaging a younger demographic to better understand how they see the world and their role in our communities. This means communicating with them in a way they’re used to. This may not always translate into immediate results, but over time it will. For our organizations, it must be understood that effective communications needs sustained investment over time. Nicole: How are you engaging your donors? Bill: We have a program called Operation QEII, where we invite people to experience the “inside-inside” of the QEII. They are scrubbed up, gowned up and go shoulder to shoulder with physicians, nurses and technicians in a simulated trauma environment followed by a behind the scenes tour of our high tech areas. Many people don’t know what actually goes on inside in our healthcare system. We have taken many corporate and community leaders through an Operation QEII session. For those that have participated, it’s a transformational experience. Not only do they see how the machine works 24/7, they see the commitment, passion and excellence in our staff. We do this on a regular basis, as well as tours, and one-on-one sessions with physicians and their teams. People learn by seeing and doing. Tell them, they may forget, show them, they may remember, but if you involve them, they will understand. Nicole: Online giving is growing at 20.5% a year. How can charities be ready for a digital fundraising world? How are you preparing at QEII? Bill: The majority of our donors are over 50 years old and still rely on traditional media. Because of this, we are in a transitional phase where traditional fundraising/communication methods are still important, but are integrated with digital strategies. To choose one or the other is to completely miss a whole segment of society. Finding that balance during this transitional time is tricky, but necessary. Nicole: It is estimated that upwards of 78% of organizations don’t have a formal succession process for their leadership positions and that only 41% of organizations have identified potential future leaders. Does that worry you? Bill: That stat does worry me, yes. While we have a fairly structured succession planning process here at QEII Foundation, I do know that for a variety of reasons, succession planning is often near the bottom of the priority list for some organizations. I’d like to see a renewed strategy on non-profit board education focusing on best practices, standards of performance, leadership development, trends in philanthropy, the critical role of the nomination process…as well as the essential role that succession planning plays in the long term future of organizations. Nicole: What’s an issue facing the sector that that isn’t getting enough attention in your opinion? Bill: In healthcare, there is still a relatively low level of understanding of the strategic relevance of philanthropy among some health administrators and physicians. If they ignore their strategic role in philanthropy, they inadvertently become a barrier to the very organizations that are designed to help. If there was a more collaborative, integrated and comprehensive approach to philanthropy within every health centre, we could move mountains. …that philanthropy contributed over $2.1 billion to hospital funding across Canada in 2017, and this number continues to grow. Here is a summary of funds raised by hospital foundations in each province. I also don’t think we talk enough about actual impact and outcomes. I don’t mean how many buildings were built, or how many MRIs were purchased. I mean how we are actually increasing the quality of life for people, the tangible impact on communities as well as the economy. We’re all so caught up with targets and annual goals that measuring and articulating true impact often gets brushed to the side. In the end, it’s not even about fundraising; it’s about improving societal conditions for people over time. Nicole: What are the things that you believe should be on every charity’s agenda right now as it relates to their fundraising? An ongoing, in-depth, and comprehensive board engagement / education strategy. Where there is an outstanding board, there is an outstanding organization with high performing staff. A long term vision with strategic resource allocation. Rather than focusing on minimizing operating costs, determine where you want to be in the long term, decide how you will get there, and then make the strategic investments. An innovative and comprehensive staff recruitment and retention strategy. We are only as good as our people, so I believe organizations must make their talent a greater focus and priority. Best practices and benchmarking for optimal performance. I’m a firm believer that knowledge is power. We all need to learn from each other’s experiences and the very best in philanthropy. I get a huge amount of inspiration from the scientists and clinical leaders that we work with every day. Also, the front line practitioners who work directly with patients, and the people who provide support services, sometimes in surprisingly adverse conditions, who come to work with a smile every single day. They all do such important work, and I think they are all amazing. I feel privileged to work them. When I was in university in the 70’s, there was an organization across the street – as politically incorrect as it would sound today, it was called the “Crippled Children’s Centre”. Ok. I’m old, let’s move on. I started to volunteer there and then became involved in developing opportunities for the other people to engage with the centre and the kids. After that, I started to be involved with other organizations that I really believed in and I loved making a difference. My first fundraising job was when BC Special Olympics hired me in ’81. Technically, my job title was “field worker.” Fundraising was one of the responsibilities and it evolved out of necessity and to be honest, survival. How did you learn how to be a good fundraiser? You’re assuming I learned. Trial and error actually. When I first started with Special Olympics, I was given responsibilities like volunteer recruitment, creating program plans and budgets, raising money to keep the lights on and funding community initiatives, and advocating in the community. I had never done any of this before. I was not mentored by a senior fundraiser back then. When I was hired in my first fundraising job, I went directly to the library to look up what “development” meant in the context of non-profit organizations. Who knew? In the early years, I was basically thrust into the role and had to figure it out. Luckily, I met amazing fundraising professionals along the way and they have become life-long friends and mentors. I also had very patient and supportive bosses. Why do you continue to work in this sector? I love the fact that I get to work with people that want to change the world and make a positive difference. Even if it sounds a bit dramatic, it really is how I feel. What we do, and the passion we put into it, is all about trying to improve the conditions and quality of life for people and communities, today and in the future. The staff of the QEII Foundation are exceptional people, so creative, energetic, passionate and dedicated. They inspire me every day. With hospitals in particular, it’s one of the few places in the world, other than a war zone, where there is life and death, and everything in between, every day. Somehow making a difference in this environment, brings such value to my life. We’re all really here to keep families together longer, and keep people healthy so they can live fulfilling, happy lives. I continue to be just as excited about that as I was the first day I started. I finally figured out what “development” means. And hopefully, I’m making fewer mistakes. Don’t sweat the small stuff. Always take the high road. Keep your eyes on the prize.